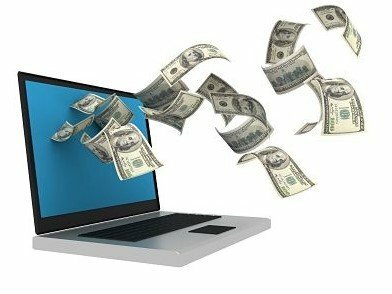 Is Forex Trading An Easy Way To Make Money Online ? Online forex trading can be one of the easiest ways of generating additional incomes. However, statistics reveal that many people do not make a great deal of money through online currency trading. On the other hand, some people claim that forex trading is a completely risk-free method of earning money. Strictly speaking, both the views are both right and wrong. People get attracted to forex trading because it is the world’s largest and most liquid financial market. Moreover, the currency market works for 24 hours in a day, significant amount of leverage is made available by brokers and the trading costs are relatively low. However, many people enter the forex market without mastering the basics of trading and developing the emotional stability required to succeed as a trader. As you can see, it is both easy to make as well as lose money through forex trading. If your goal is to succeed as a forex trader, read on to find out how you can avoid losing money in currency trading. Learning about the currency market is essential to achieve success in forex trading. You should have a thorough understanding as to how economic and geopolitical factors affect currency prices. A great deal of learning comes from experience gained through live trading. Learning is an ongoing effort as it helps you to adapt to changing regulations, world events and market conditions. Learning also involves developing a clear cut trading plan. The forex market is less regulated than other markets. Therefore, the possibility of your doing business a dubious forex broker is higher. To avoid this, you should open a trading account only with a forex company that is registered with the regulating authority in the country where you reside. Additionally, you should research the account offerings such as leverage, commissions and spreads, funding methods, currency options, initial deposit, withdrawal policies and customer service of the forex broker prior to deciding to work with them. Most forex brokers provide a demo account on their trading platforms. This is to help you become familiar with their forex trading platform and become adept at avoiding mistakes such as hitting the wrong button at the time of opening or exiting positions. Demo accounts may be helpful in practicing some of the entry level techniques, but keep in mind the fact that it does not prepare you for maintaining emotional stability. When you use a demo account, you will not be using real money. Therefore, the fear associated with risking real money will not affect your performance. Experience is the best teacher. You need to deal with mistakes you commit and losing trades in order to become a good forex trader. You should learn to use the technical charts well. They provide you with signals as regards the best times to enter and exit markets and buy or sell your preferred currencies. However, it is better to avoid using all the technical analysis tools provided by the broker though you may be tempted to do so. It is important to make minimum use of analysis techniques so that they are effective. This is because usage of many types of indicators at the same time can provide opposing signals. The primary reason for you to take up forex trading may be making money. However, you should also learn to avoid losing money. This is because learning and applying proper money management techniques forms an integral part of trading currencies successfully. Experienced traders would tell you that you can place orders at any price and make money. What matters is how one gets out of the trade that matters. You should know when to accept losses and move ahead. Make use of stop loss to keep losses at a reasonable level. You can also decide on a daily profit amount or a maximum loss amount and stick to it. Beyond this range all positions should be closed and new trades should not be initiated till the next day. If you have your homework well, familiarized yourself with the broker’s platform by using their demo account and put down a trading plan in place, you can go on to the live trading platform of the broker. However, keep in mind the fact that practice trading does not exactly simulate live trading. It is, therefore, important that you start small when involving in live trading. Factors such as emotions and slippage can be fully understood only when you do real-time trading. If you start small, you can evaluate your trading plan and emotional stability and make suitable adjustments as and when required. Availability of leverage is one of the unique aspects of forex trading. It provides you with an opportunity to make substantial profits by investing small amounts. If employed properly, leverage enables to earn more. However, leverage has the potential to easily amplify losses as well. A trader can control the amount of leverage used by basing position size on the account balance. For example, imagine that you have $10,000 in your forex trading account. If you use 10:1 leverage, your position size will be $100,000 position. You can use more leverage and maximize your position, but keeping it lower level will limit your risk. You should treat currency trading as business and not worry too much about individual gains and losses. What is important is how our forex trading business performs over a longer period of time. As such, you should not become overly emotional with both winning and losing positions. You have to consider each trading session as another day in your office. As in the case of all other businesses, forex trading also involves expenses, taxes, losses, risk and uncertainty. You cannot expect to become successful overnight. You need to plan, set realistic goals, stay focused and organized, and have an attitude of learning not only from successes, but also failures. This is what will help you enjoy a long and successful career as a currency trader.